The second California hospital in two weeks has reported cases of a deadly “superbug” infection, thought to be related to a diagnostic camera device. Cedars-Sinai Medical Center in Los Angeles confirmed at least four patients have been infected with the antibiotic resistant bacterium CRE. One patient died, but the hospital said the death was due to the pre-existing medical condition, rather than the CRE infection. Free home-testing kits have been sent to 67 other patients that may have been exposed between August and January. CRE, or carbapenem-resistant Enterobacteriaceae, can cause potentially lethal infections of the bladder or lungs. Two weeks ago, the Ronald Reagan Medical Center at the University of California Los Angeles (UCLA) reported seven infections with the deadly pathogen, resulting in two deaths, and 179 potential exposures. There have been no updates on test results. Centers for Disease Control and Prevention have alerted the Food and Drug Administration concerns about the possible connection between the use of duodenoscopes and “multidrug-resistant bacterial infections” in 2013, AP reported. The FDA confirmed it had received reports of 135 patients in the US who may have been infected via scopes between in 2013 and 2014, and that it is aware the design of the scopes makes them difficult to clean. Almost half a million endoscopic procedures are performed in the US every year. 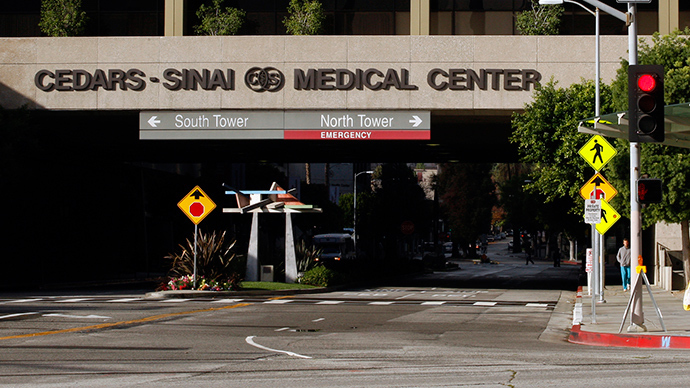 Cedars-Sinai said it has stopped using the scope for the time being, and will resume endoscopies after consulting with government agencies and other hospitals.